ITL Web Safe is a new-generation browser extension for all your major web browsers. Block all dangerous websites and malware infections while surfing on the internet. Ensure safe & smooth web browsing always with a single add-on. With ITL Web Safe installed, you can enjoy safe browsing on your favorite browsers without worrying about any threats! ITL Web Safe provides complete protection to your browsers. That too being extremely light on storage! It is a small yet powerful browser add-on that consumes the least of resources on your system. ITL Web Safe offers safe, error-free and smooth browsing at all times. Prevent malware attacks on your system as ITL Web Safe automatically analyzes key elements of a web page to detect if it is legitimate or fake. ITL Web Safe extension requires none of your personal information to run, and doesn't monitor your web browsing. It ensures complete web protection and at the same time keeps your privacy intact. With its real-time web protection engine, ITL Web Safe blocks all the latest malware and threats in real-time to give you optimal protection. The extension blocks all the viruses as soon as they are detected. ITL Web Safe is compatible with all major web browsers including Google Chrome, Mozilla Firefox, Internet Explorer and Safari. 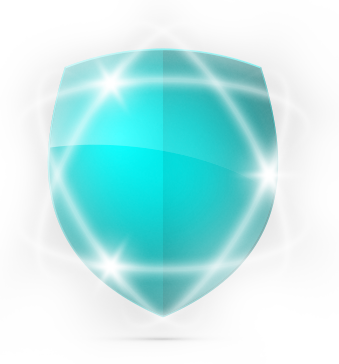 Experience complete web protection on any browser you are using. Q1. What is ITL Web Safe? ITL Web Safe is a browser extension for all the major web browsers which lets you browse safely on the web. It blocks all the annoying ads, dangerous downloads and prevents you from accessing malicious websites. Thus, you can rest assured that you will browse safely and smoothly on the internet without having to worry about any ads or threats. Q2. Why do I need ITL Web Safe? Whenever you surf the web through any of your web browsers, you are vulnerable to various online threats. Threats such as unsafe websites and dangerous downloads can cause harm to your system. Moreover, you also get several annoying ads which hamper your browsing experience. ITL Web Safe takes care of all such problems and gives you a safe and smooth browsing experience. Q3. Does ITL Web Safe collect my personal data? No, ITL Web Safe will never gather your personal and sensitive information. It doesn’t monitor your browsing habits or any other browsing data. Q4. How Can I Whitelist a Website? If you want to whitelist any website, simply add the website URL to the Whitelisted Domains section available in the Settings option.